Place the mayonnaise, wasabi, lobster, salt and pepper in a bowl and mix to combine. 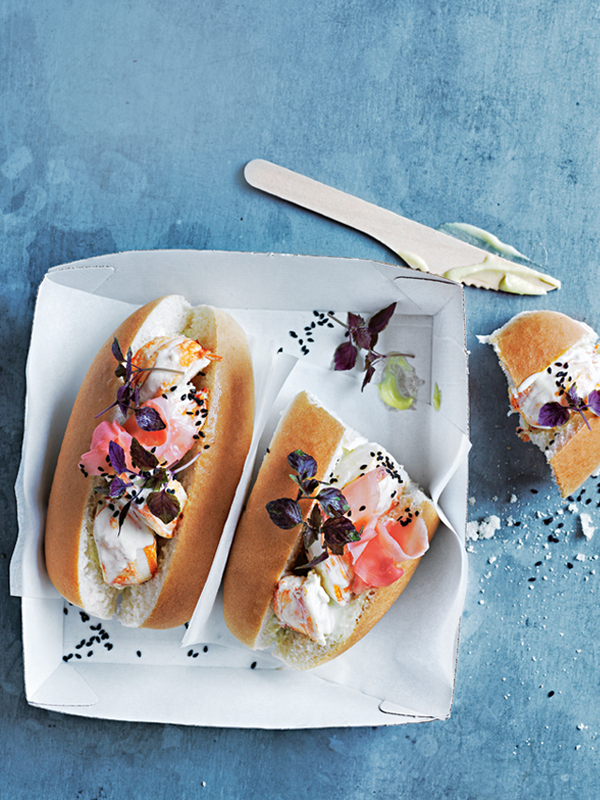 Divide the lobster mixture between the rolls, and top with the ginger, sesame seeds and shiso leaves to serve. Serves 4.